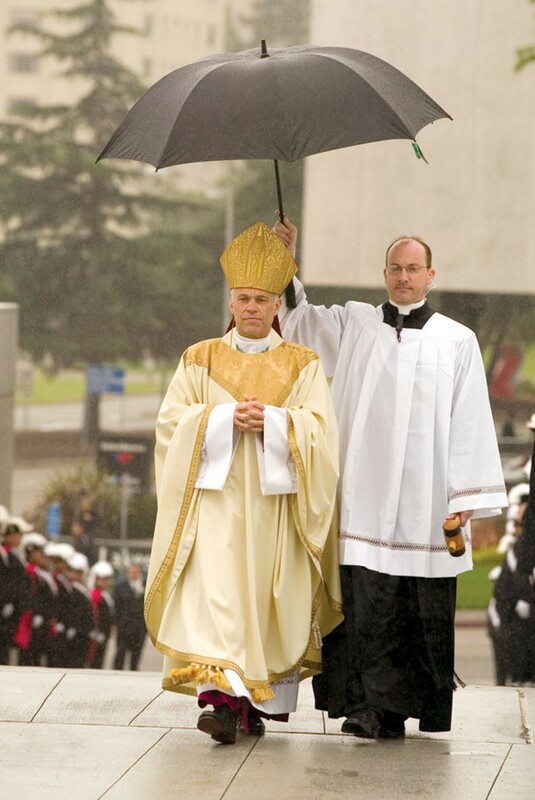 Meet Oakland Bishop Salvatore Cordileone, the apostle of the movement to deprive gay men and lesbians of the right to marry. 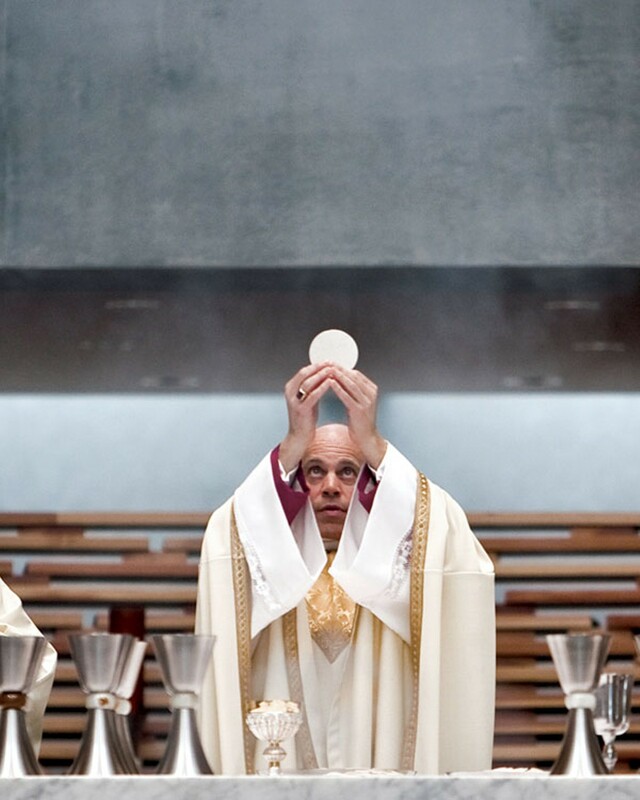 Shortly after his side's victory in the Proposition 8 campaign, Salvatore Cordileone was installed as the new Catholic bishop in Oakland. Proposition 8, the California constitutional amendment that deprived gay men and women of the right to marry one another, was perhaps the ugliest and most divisive electoral moment since Proposition 187, which denied illegal immigrant children access to health care and public education. All across the state, gay men, lesbians, and their friends picketed hostile churches and boycotted businesses that backed the amendment. And as they contemplated their fate, they asked themselves: Who did this to us? Was it the Mormons? The National Organization for Marriage? Black voters? White evangelical megachurches? Now, eight months after the election that broke so many hearts, the truth has come out. It was the new Catholic bishop of Oakland. When Salvatore Cordileone was picked to run the Catholic Church's Oakland diocese in March, his opposition to gay marriage was noted, but his reputation as a Spanish-speaking friend to the country's rising Latino population took center stage. Here was a dedicated, caring man of God who spent years studying in the Vatican and sweltered as a parish priest in the poor, immigrant-heavy town of Calexico. "Bishop Sal," as he's called, would lend his considerable moral voice to the struggles of impoverished immigrants, working tirelessly for their dignity and security. What almost no one knows is that without Bishop Sal, gay men and lesbians would almost surely still be able to get married today. As an auxiliary bishop in San Diego, Cordileone played an indispensable role in conceiving, funding, organizing, and ultimately winning the campaign to pass Proposition 8. It was Bishop Sal and a small group of Catholic leaders who decided that they had to amend the state constitution. It was Bishop Sal who found the first major donor and flushed the fledgling campaign with cash. It was Bishop Sal who personally brought in the organization that took the lead on the petition drive. And it was Bishop Sal who coordinated the Catholic effort with evangelical churches around the state. Bishop Sal even helped craft the campaign's rhetorical strategy, sitting in on focus groups to hone the message of Proposition 8. We know all this because as homosexuals and their supporters were wondering how this all came about, Cordileone gloated about his work in an interview with an obscure Catholic radio network. He bragged about how gay men and lesbians never saw him coming and called gay marriage a Satanic plot by "the Evil One" to destroy morality in the modern world. Now, Cordileone's work has been rewarded, and the Vatican has made him the most important religious figure in the East Bay. Alameda County is one of the most liberal and gay-friendly parts of the world; it arguably has the most lesbian residents in the United States, and voters here rejected Proposition 8 by almost 62 percent. 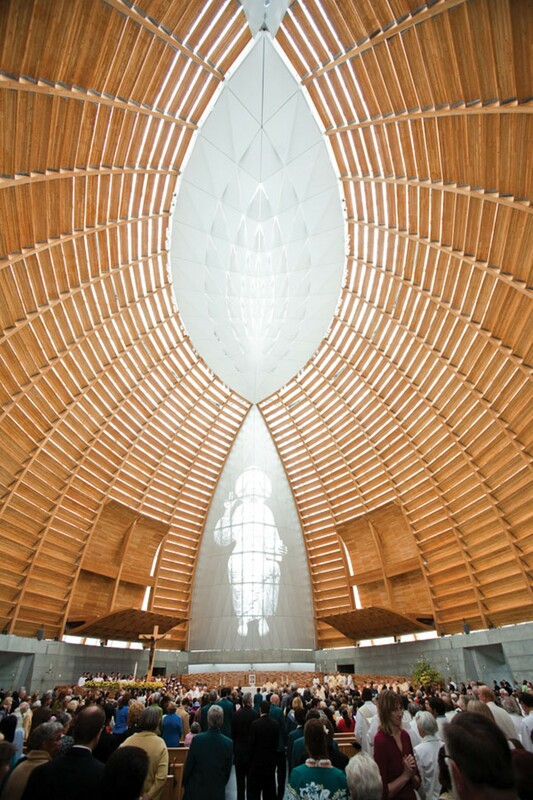 And the man who leads some 400,000 Catholics from his new Lake Merritt cathedral, who articulates the loudest moral and religious voice in the region and has the power of the Vatican at his disposal, just got done taking the right to marry from every gay man and woman in the East Bay. When you first speak to Bishop Salvatore Cordileone, you're immediately struck by his sincerity and compassion. Throughout the Proposition 8 campaign, he took great pains to emphasize the humanity of gay men and lesbians, citing the catechism and a pastoral letter that denounces anti-gay prejudice. Even today, as he prepares to lead a flock torn by anger and recrimination, he hopes that God's love for all his children will prevail. "I know there's a lot of bitter feelings about this," he said in a recent interview, "but we're trying to love everyone the way the Lord would have us do." In fact, Charles LiMandri, the general counsel for the National Organization for Marriage's California chapter and a key figure in the Proposition 8 campaign, claimed that it was precisely this generosity of spirit that made Cordileone such an exceptional ambassador for the campaign. "If you were to count on one hand the people who were the important in that effort, I would include him in that," LiMandri said. "He tried to approach this in a loving way, and I think this made a real difference. ... He wasn't judgmental. Gay and lesbian people are children of God, and he has always welcomed them into the church." Cordileone has been a rising star in the Catholic Church from the moment he put on the collar. Born and raised in San Diego, he entered the seminary in 1974 and transferred to the Catholic-run University of San Diego. From there, Cordileone's career was a mix of rigorous study in Rome and hard work among the most desperately poor parishioners of California. He obtained his doctorate at Rome's Pontifical Gregorian University, then turned around and worked as a pastor in Calexico, four blocks from the Mexican border. But along with a crackerjack mind and an intense identification with the poor, Cordileone has cultivated one of the most theologically conservative worldviews imaginable. Especially when it comes to sexual matters, Bishop Sal is conservative and uncompromising. In 2006, the US Conference of Bishops was drafting a pastoral letter that listed examples of sins so great that Catholics could not in good conscience receive the sacrament of Communion unless they repented of them through the sacrament of penance. Cordileone led an effort to include the use of contraception among them. The effort failed, but if Cordileone had his way, women on the Pill would be banned from receiving the body of Christ. And when it came to gay marriage, Bishop Cordileone saw nothing less than an assault by the forces of postmodernism and the devil upon God's most critical moral foundation. So when the debate came to San Diego, Bishop Sal decided to act. California would never be the same. For years, Bishop Cordileone was mostly known in the San Diego press for coping with the fallout of the church's child-molestation scandal. But when San Francisco mayor Gavin Newsom started marrying gay men and women in 2004, a new challenge presented itself. Newly minted gay husbands and wives filed a legal challenge to Proposition 22, which had restricted marriage to heterosexual couples. Meanwhile, the state legislature repeatedly voted to overturn Proposition 22 and allow gay marriage. Although Governor Arnold Schwarzenegger vetoed the legislature's decision, Cordileone grew increasingly alarmed. In the summer of 2007, Toni Atkins, a lesbian member of the San Diego City Council, introduced a motion to file a friend-of-the-court brief supporting gay marriage in the state Supreme Court. A small group of fifteen to twenty Catholic leaders began organizing to oppose the motion, and they asked Cordileone to join them. Bishop Sal agreed and put himself to work. The more he organized, the more he concluded that gay marriage was a threat.